Will studied Politics at the University of Sheffield, where amongst other things he went on his first student ski trip and started repping; working in Spain for his summers. After graduating at the fresh age of 20 he took a couple years out to travel and started repping for NUCO in the winter of 2014. Having decided that a career in Politics wasn't for him, he joined NUCO full time in August 2016. He now heads up the Rep Team and helps with other operational matters. Joining the Operations Team in August 2017 Lucie, formerly know as Nips, is one of our longest serving reps; repping her first varsity in 2009. A French and Spanish graduate from Bath, a pro head rep and duty manager (and avid baker) she just couldn't get enough of the mountains so had to join the team. She was thrown into ski school as soon as she could stand, chats (at length) in French to anyone who will listen and is well known by the locals in resort both on and off the slopes, who better to help deliver your holiday? After a year way from NUCO in the IT industry, Sam re-joined our adult sales team in the summer of 2016 (its safe to say IT wasn't as exciting as he originally thought!) Sam has a lot of experience in snow sports including two years on SKUM committee, racing both at University and since as part of the infamous SKULUMNI, and two seasons as a NUCO resort manager. 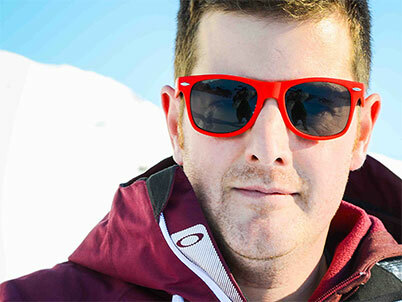 He has also had a major involvement with the Oxbridge and Ashes to Alps Varsity Race and Freestyle events. Sam grew up in Belgium too so speaks fluent French which does come in very handy. Armed with an International Business degree and four years experience in student snowsports, Kirsten joined the NUCO office in summer 2016 as a member of the Customer Service team before migrating to Account Management in April 2017. With plenty of weeks in resort and a can do attitude, Kirsten will be on hand to advise and help plan your trip all year. Passionate about the mountains from an early age, Paul became involved with student snowsports at Cardiff University where he was on committee. He then spent a full season repping for NUCO in 2014/2015 before joining full time in the office in summer 2015 as part of our expert sales team, as well as resort managing in peak season. Growing up in France, his language skills and insider culture knowledge are invaluable in and out of resort. As of August 2017, Paul is based in Chamonix where he looks after non-student overseas operations as well as various other operational responsibilities and support. After graduating from MMU James packed up and headed straight to The Alps to work in the area that he loves the most, snowsports. His vast knowledge and experience is vital when dealing with numerous diverse requests on a daily basis. James is persistently looking to develop his already expert grasp on The Alps, so If you have any specific demands or need any resort information James is your man. If you make a booking with us, James will be the one who has priced it up and will be in constant contact with you. Charlotte joined the customer service Team in August just in time to help with the preparations for the forth coming season. Having spent her childhood holidays in the mountains, it was only natural that she would go on to spend six seasons in some of the biggest ski areas in Europe. After season life came to an end, Charlotte moved into customer service roles within several different industries over the past five years until coming back to what she knows. Charlotte and Beth will be based at our head office in Manchester ready to answer any queries or questions you may have. Working closely with the teams in resort and in the office ensuring your NUCO holiday runs smoothly from start to finish. Louisa joined the NUCO office team in November 2014 as a full time intern before her charismatic charm secured her a full-time position. In the summer of 2016, after 15 months getting to grips with everything there is to know with Customer Services and Operations, she moved over into the Student Team to pursue her true passion of looking after student groups and spending more time in her homeland, the French Alps. With a huge amount of knowledge and language skills, and a passion for snowsports and strong cheese, Louisa is the ultimate addition to the student team who will deliver you the very best service and experience. After overseeing student groups in resort for three years as a senior rep, Aaron join the NUCO office team in September 2014. He spent his fair share of time at University, obtaining a BSc and MSc at the University of York however since then he has followed his passion for marketing and media, specialising in sport and lifestyle brands. His abundance of events experience and extremely professional attitude will ensure your trip runs to the letter and your Afterdark Events go off with a bang! Bringing lots of energy and enthusiasm to the team, he will always have time for your needs. NUCO were lucky enough to have Charlie join our office team in May 2013, just two days after her last university exam. 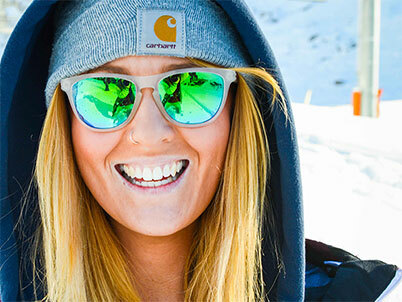 With an events management degree and a placement year working directly in the snowsports industry, she was quite literally the most qualified person to join the team. Fast forward 3 years, Charlie is one of our most experienced Student Account Managers and has the responsibility of looking after some of our biggest student groups. With a nothing-is-too-much-trouble approach, she works alongside the rest of the Student Team to deliver the very best holidays and After Dark events. After graduating from the infamous UCLAN in 2004 where he was the Ski Club President, Sam spent a gruelling 20 week season in the Alps for the then 'On The Piste Travel' before joining OTP full time in September 2005. Already in his career Sam has worked for a string of travel companies including Gold Medal, Airline Network, On The Beach and Off The Piste. This wide range of roles combined with his 12 years' on-the-ground experience in the student snowsports industry means he brings an abundance of knowledge to the NUCO management team. With a love of Excel spreadsheets, printed Dymo labels and his head torch, Sam joined NUCO in September 2012 and heads up all things logistics including UK Travel and the all-important NUCO Rep Team. He is also blessed with the task of making sure everyone in the office and resort are as organised as possible. Heavily involved in student snowsports since 2003, Tom was President of Reading University Snowsports before climbing from rep to Sales Manager at Off the Piste. He joined NUCO in September 2012, bringing with him years of experience and an impeccable attention to detail. Always keen to get out there, Tom spends as much time as he can in the Alps and is always on hand to help with anything that needs attention. Not only does he oversee groups of 50 to 3,000 himself, he also oversees and supports the whole student team to ensure his experience and meticulous planning dissipates throughout the whole team and influences each and every student holiday we provide. NUCO's man in the Alps, Cedric lives in Bourg Saint Maurice, the valley town to Tignes and Val d'Isère. 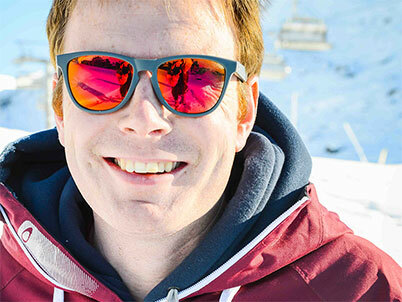 Cedric has been working in the ski industry since 2004, leaving his position as Operations Manager at TUI Student Skiing (Off the Piste and SkiAlpine) in March 2012 to join NUCO. 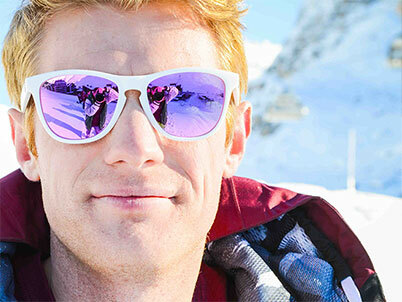 Danny has been working in the student snowsports industry for well over 13 years, graduating from the University of Leeds in 2002 and immediately joining Off the Piste, where he remained until September 2011. He became Managing Director of Off the Piste in 2005 and, following their acquisition by TUI in 2008, was appointed MD of TUI Student Skiing, where he managed both of their student ski brands: Ski Alpine and Off the Piste. Danny set up NUCO as he was keen to break free from the corporate world and re-establish himself as the leading independent player in the winter sports market. 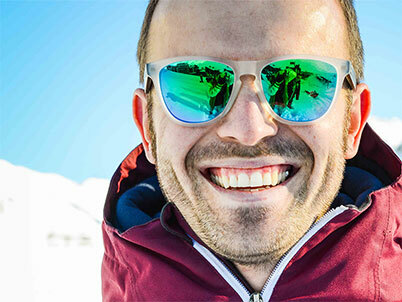 With NUCO he can refocus his talents back onto snowsports and into doing what he has always done best: organising the best run ski holidays and events available to the market. Quite simply, no one else in the industry can match Danny's knowledge and experience of operating group trips to the Alps. Think you've got what it takes to join our ever expanding team? If so please send a copy of your CV with a covering letter to info@nucotravel.com and we'll keep it on file for the next time positions become available.